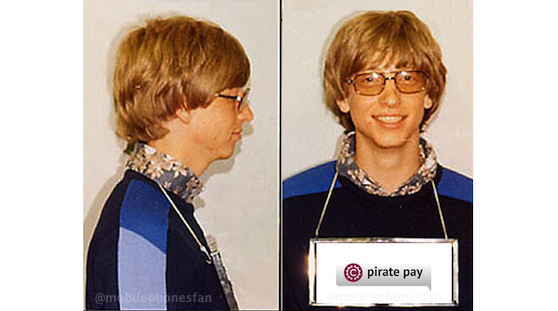 Would you buy an operating system from this man? Can "Pirate Pay" stop BitTorrent sharing at the seeding server? Engineers from the Russian start-up say they can do just that. Now they have funding -- including $100,000 from Microsoft Seed Finance -- to aid them in further developing their methodology. Whether they can or can't, the claim raises two questions that could be even more important : (1) How does their system work? (2) Is it legal to block BitTorrent, whether in this manner or any other? We used a number of servers to make a connection to each and every p2p client that distributed this film. Then Pirate Pay sent specific traffic to confuse these clients about the real I.P. addresses of other clients and to make them disconnect from each other. The devil could be in the details. According to the laws in several nations, Distributed Denial of Service (DDoS) is illegal, with no allowance for good intentions. Even in countries lacking specific DDoS regs, 'Computer Fraud and Abuse' laws could be applicable. CEO Klimenko admits that, in trials Pirate Pay's torrent blocker has been only partly successful. But content-providers will likely jump at even this flawed mechanism, meaning the folks at Pirate Pay may one day collect their expected $12,000 - $50,000 per-use fee.